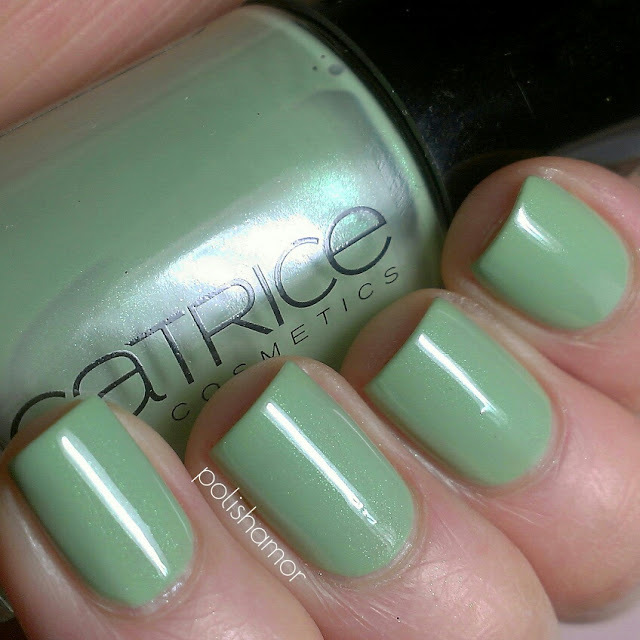 Oldie but goodie, I received this polish in a swap and love it!!!! I know there are few version of this one, I think this is the first one but I'm not 100% sure, either way I think its gorgeous!!! Then I did and accent nail using Shimmer Polish Erica! 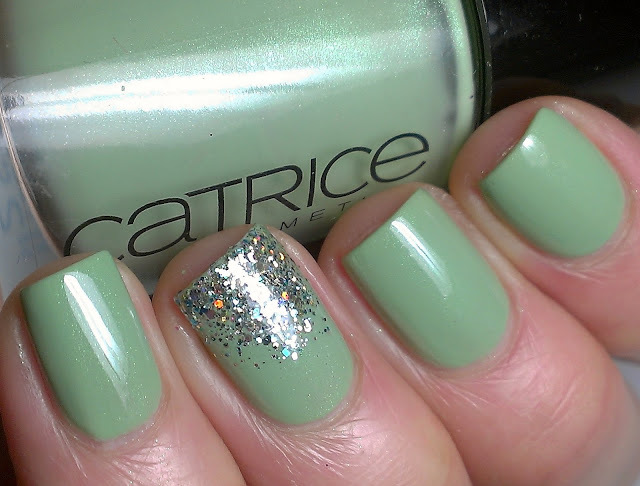 The green mixture of glitter in Erica was such a great compliment to this mint polish. 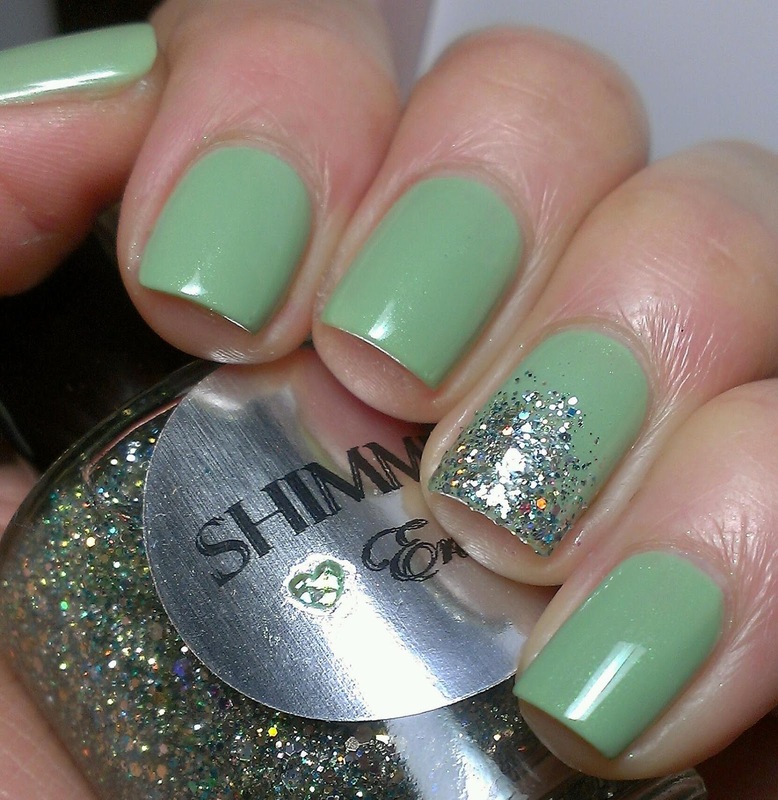 So pretty, I love this color. i love that glitter gradient! Such a gorgeous gradient! That Catrice polish is also beautiful! I love it with the glitter on too - beautiful! This is such a lovely manicure, and yes this is the original version of SOF :). Also the glitter really compliments it! Beautiful color! 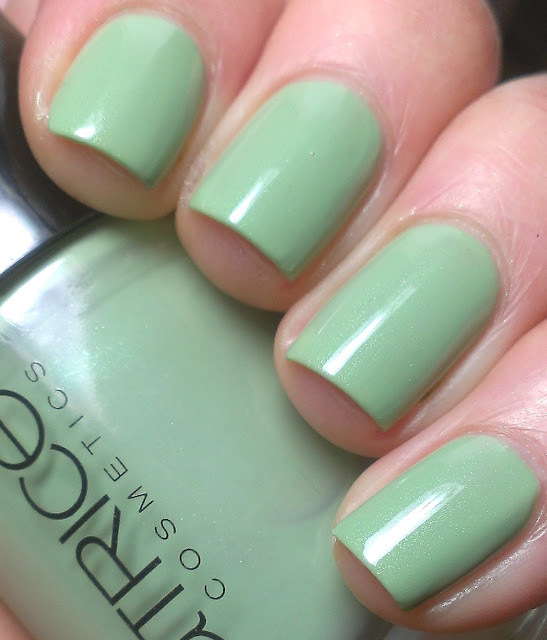 And the accent nail looks absolutely amazing!